A graduate of West Chester University, Mark has been in the financial services profession for over a decade. 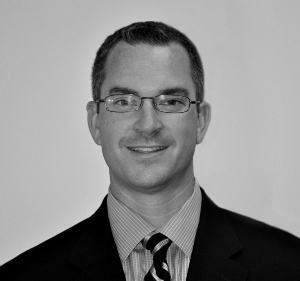 Mark began his career at Market Street Wealth Management in 2004, and attained partner status in 2009. His diverse background makes him a valuable asset at MSWM. Prior to joining MSWM, he worked for Vanguard and ING Annuity &amp; Life Insurance Company. In addition, he spent time in the banking industry. Mark draws from these experiences when working with clients, helping them achieve the proper balance between the investments and insurance. His specific areas of focus include income planning, investment management, taxes, and insurance and financial estate planning. His financial workshops have been widely attended throughout the tri-state area, and typically focus on topics such as retirement and income planning, as well as investments and tax management. Mark currently resides in Garnet Valley with his wife Deanna and their three sons Maxwell, Gavin, and Nathan. He enjoys coaching youth sports, as well as participating in numerous recreational activities including golf and skiing. Mark and his family enjoy spending time at the New Jersey Beaches, as well as the occasional trip to Disney World. He is also an active volunteer for the Media Children’s House.